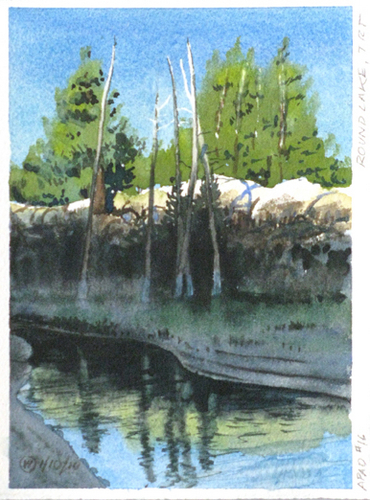 Watercolor, Richeson 140lb CP, 1/10/2010, APAD 16. Early morning just touches the tips of these pine skeletons on the shore of Round Lake, drowned by busy beavers in years past. Now the lake is back to a lower level for some reason. One of them announced my presence with the smack of a tail on the water.